Holiday Checklist For Your Home! Remove any items in the fridge that are likely to go out of date before you return. There’s nothing worse than opening the fridge to find out not only do you have nothing to eat but you’ve forgotten to remove the milk you left there 2 weeks ago! 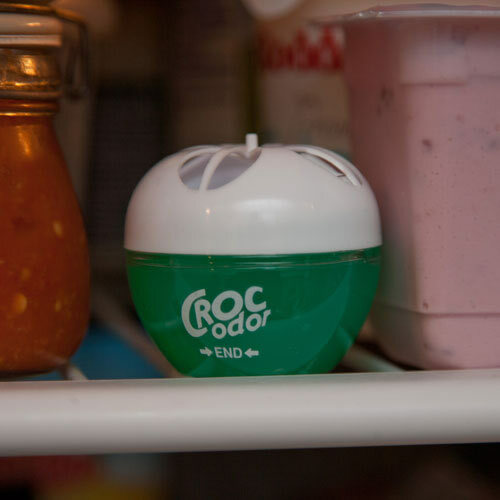 If you have the time give the fridge a good clean, but most important remember to use products such as Croc Odor Fridge Fresheners & Deodorisers. Available in a twin pack of 33g size and a larger pack size, these dodorisers neutralis and absorb strong odours in your fridge naturally. The gel contains natural seaweed and is completely neutral and safe in a food environment. Fragrance free, it will not taint even delicate foods. No more fridge smell when you return! Talking of smells don’t forget to empty the bins! Sometimes that may not be enough… making use of a Natural Bin Freshener means you won’t have to worry about a bin smell on your return. Available in packs of 2 they neutralise odours and are easy to fit & replace. Designed for all Kitchen Bin types, they are made from natural citrus extracts. The same applies to the dishwasher – make sure you empty it before you go and use a Freshener which will neutralises odours in your Dishwasher (even between washes!) 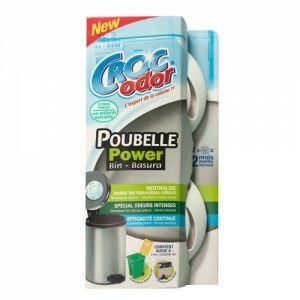 With it’s Citrus Fragrance with Natural Extracts the Croc Odor Dishwasher Freshener Twin Pack is perfect, each pack lasts for 60 washes so you get 120 washes per twin pack. Moving outside who knows what the weather is going to do when you’re away, but plants in the garden can die if it stays dry and hot, and your garden furniture if left out can be ruined if it rains a lot. Luckily there are ways to protect them. Make use of plant drip feeders such as these Watering Spikes. This 6 pack of Plant Watering Spikes really are the perfect solution to watering your plants when you aren’t at home. Whether they are outside or inside plants it’s simple, just attach a plastic bottle filled with water to the spike. Place it into a planter, hanging basket or pot and the liquid is gradually released keeping the soil moist and your plant alive! You can also add plant food to the water if necessary too. The adaptor included enables the spikes to fit more bottles. Finally things people often foget, so make sure you remember to…. cancel milk and newspaper deliveries for the length of the holiday and ask the neighbour, relative or friend to gather up any post and place it out of sight. Set a timer switch on the lighting at night to make it appear as if someone is at home and pull out all electric plugs. Now you can really enjoy your holiday knowing everything is safe at home!